I try to be very aware of the allergens in my house. With a daughter who suffers from extreme eczema and my own asthma, I want as few things in my house that will make either of these conditions worse. Here are some of the things that I do regularly to make sure my house is as free of dust, mites and pollen as possible. Dust before you vacuum. When you dust you are moving a lot of allergens in your house around. If you dust and then vacuum, you are going to pick up a lot more allergens than if you vacuum and then dust. Wash all of your bedding regularly. 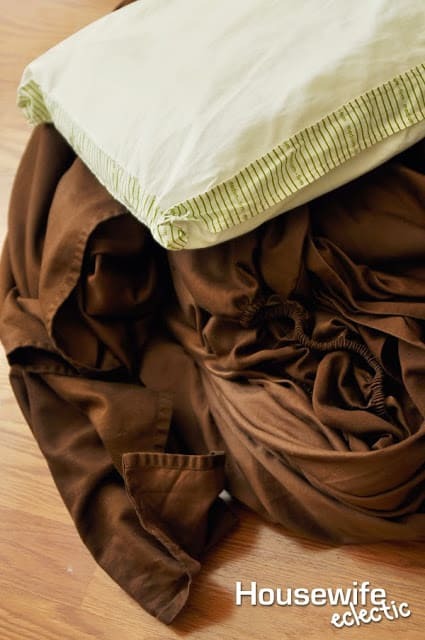 Everyone knows they should be washing their sheets reguarly but you need to be washing your blankets and pillows on a regular basis too, You spend a lot of time in your bed, there is a lot of time for allergens to acrue. I try to wash my pillows at least once a quarter. It is also good to allow your bed to air out for a little while before you make it each day. Run the exhaust fan when you shower. This is a hard one for me because I love it when the bathroom is warm and humid when I step out of the shower, but running the fan helps control moisture in the bathroom which will in turn prevent mold. Wash all linens in your house. Dust doesn’t just acrue on the fabric in the bed room. Make sure you are washing drapes, pillows and blankets on your couches and vacuuming your couches regularly to keep allergens down. Don’t over fill your washing machine. 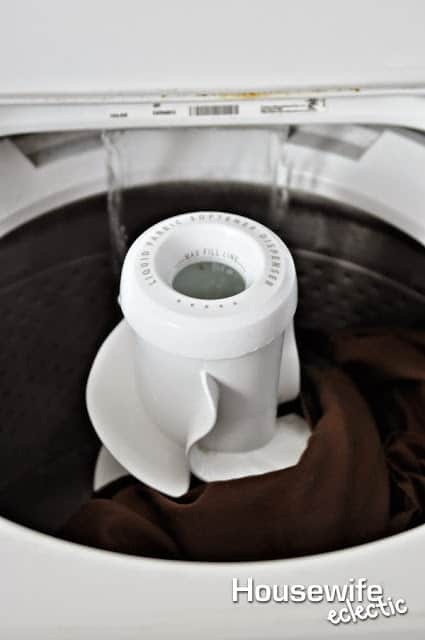 If you fill your washing machine too full, your clothes aren’t getting properly cleaned leaving allergens all over them. Hang your towels and other damp clothes to dry before tossing them in the hamper. Leaving damp clothes in a heap is just asking for mold to grow. Make sure you are washing your shower curtain and replacing your liner on a regular basis. This can be a great place for mold to grow. If you find mold, kill it with a mixture of water and bleach. Replace cracked tiles or disintegrating caulk to keep mold from growing in your bathroom. Use hardwoods or tile throughout the home especially in bathrooms, kitchen and dining areas where allergens love to accumulate. I see carpeted bathrooms all the time and it is honestly creating another place for mold to grow. 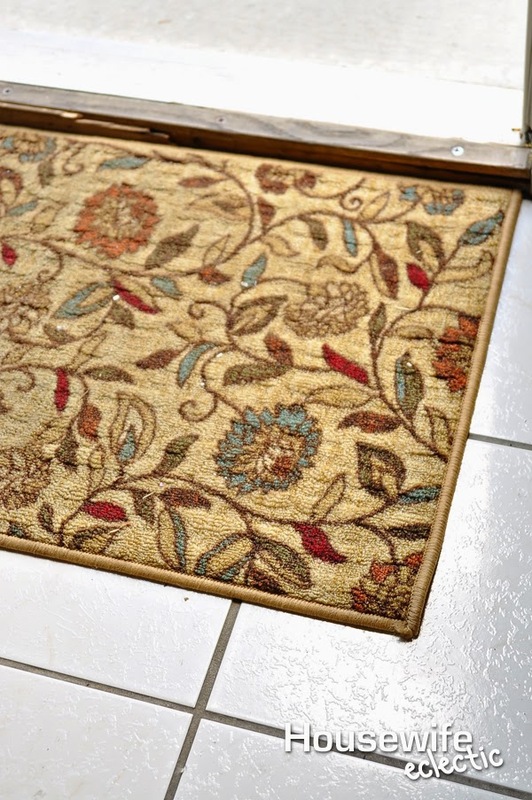 Have a mat on both sides of your doors, so that people can’t wipe their feet well before they enter you home. Have people remove their shoes when they first enter your home to prevent allergens from being tracked all over the place. Toss cutting boards after they get grooves or cracks in them so that germs and allergens can’t collect where you prepare your food. Keep food tightly covered to prevent pests, if you see bugs in your house especially roaches it might be time to call in professional help. Roaches bring all sort of allergens with them. Replace your air filters often. Make sure you are replacing your air filters at least as often as the manufacturer recommends. Swap out cleaners for free and simple versions. Watch the amount of chemicals you are using and limit there where possible. Clean your floors often. You floors contain most of the bacteria in your house. Clean your floors with a free and clear cleaner like Bona to keep allergens under control without introducing harsh chemicals. As someone with asthma using very gentle cleaners is really important to me. I have tried cleaners that have full on set off asthma attacks. Up until recently we have just been using water and vinegar to clean our floors so I wouldn’t have an asthma attack. Bona, reccently introduced a free and simple floor cleaner, Bona Free and Simple Hardwood floor cleaner that has been certified by the Asthma and Allergy Foundation of America. This certification made me willing to try and I love the results! My floors are so much cleaner and I don’t have to worry about the product making me sick. The bonus? It removes 93.3% of allergens on the floor, making the entire house healthier too. Right now if you sign up for the Bona mailing list you can get a $3.00 off coupon! 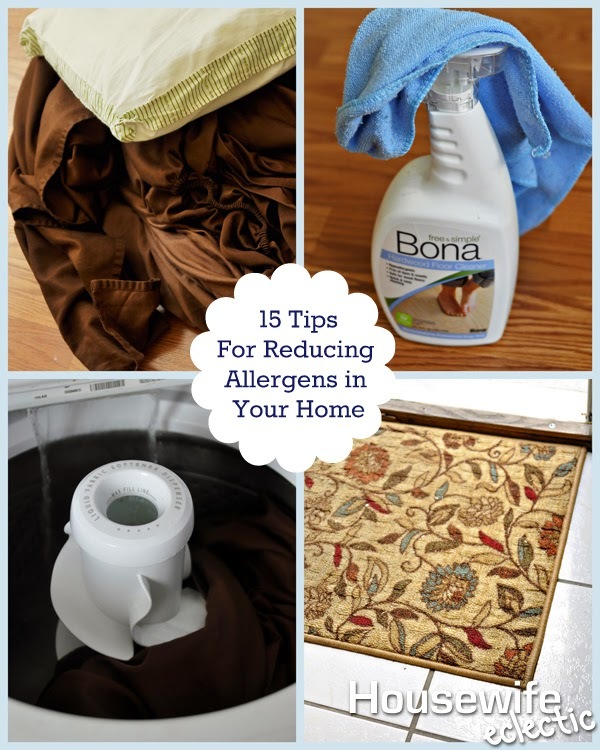 What do you do to remove allergens from your home? I have lots of allergies but -knock on wood-not asthma. I do what I can to keep dust down and keep fragrances to a minimum. There are a couple of things you suggest that I will try. These are excellent tips, Debra! Allergies are terrible here in central Texas…so anything we can do to help thwart them–we'll try at least once! These area really good tips! Those who suffer from allergies will really appreciate them! Those are all great tips. 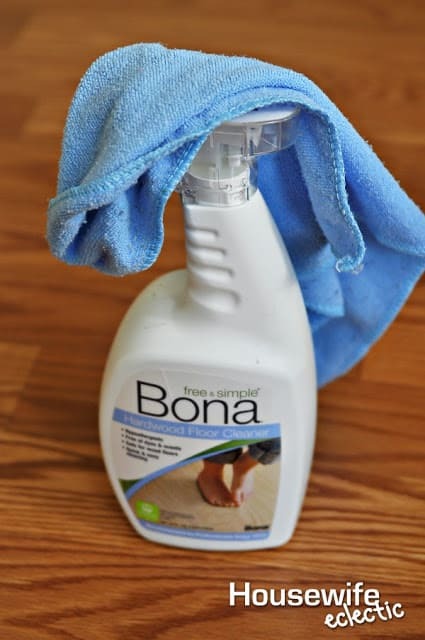 I have been wanting to try that Bona cleaner on my hardwood floors. The bathroom exhaust fan makes a huge difference! I didn't have one in my last house and hired someone to put one in. I can't believe what a help that was. These are great tips! I never would have thought about doing this as a way to get algerians out of my home. Great tips! I need to invest in a good floor cleaner–sometimes a mop and wet wipes just don't cut it! Great tips. My daughter suffers terribly from both food allergens and environmental. Great tips!! I know I don't want my blankets nearly enough. I've been using another cleaner that was doing the trick but will have to take a look for these. My daughter suffers from allergies and these are some great tips to help her out. This jar is genius! I find so much change and sometimes bills in the bottom of the washer. This would be a great way to collect it all. My brother has a dust mite allergy. And it’s really hard to manage with those invisible creatures – you just have to clean everything. All the time. Every day. But there are some tips that are really useful. Eradicator spray is helpful in such cases. Thanks for sharing your tips, we will try it.